TransCanada said the Pipeline and Hazardous Materials Safety Administration approved the energy company’s repair and restart plans with no objections. The Keystone pipeline returned to operation Tuesday after a 5,000-barrel oil spill earlier this month, said developer TransCanada. 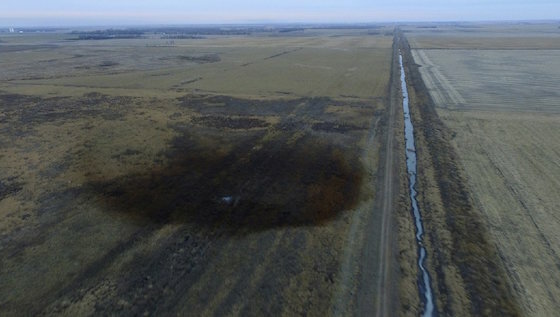 TransCanada recovered 44,400 gallons, or 1,057 barrels, of oil following a spill from the Keystone pipeline in Amherst, SD. There have been no reports of oil entering waterways or water systems. Members of South Dakota’s Public Utilities Commission said they could revoke TransCanada’s operating permit if a probe of the spill shows it violated the terms of its license. The 2,147-mile pipeline carries oil from the oil sands in Alberta, Canada, to the Texas Gulf Coast. Nebraska regulators on Nov. 20 approved a key permit for the Keystone XL expansion of the pipeline network, and TransCanada is expected to decide next month whether to proceed with the project. TransCanada on Monday filed a motion with the Nebraska Public Service Commission asking the regulators to address questions related to their ruling. The Nebraska Public Service Commission voted 3-2 in favor of the permit, but it rejected TransCanada’s preferred route, approving an alternative that would move the pipeline further east. The Keystone XL pipeline, which at 1,179 miles long would ship oil from Alberta to Steele City, NE, and then on to refineries along the Gulf Coast, has been contested by environmental advocates worried about spills and climate change.